It can be helpful to monitor your cellular data usage statistics from your iPhone if you use a lot of data and are worried about overage charges that might occur if you hit your data cap. The iPhone cellular data statistics are a running total, however, so you will need to reset them periodically if you want to have a clearer idea of how much data you are using each month. Our guide below will show you the menu to access on your iPhone that allows you to reset your cellular data use statistics. You can perform this process each month, or each wekk, depending upon the type of data that you are trying to collect. These steps were performed on an iPhone 7 Plus, in iOS 10.2. These same steps will work for most other versions of iOS as well. Step 3: Scroll to the bottom of the screen and touch the Reset Statistics button. Step 4: Tap the red Reset Statistics button to confirm that you want to reset your stats. The amount of data shown on this screen only indicates data used over a cellular network. It does not include any data used over Wi-Fi networks. The statistics shown on this screen may vary when compared to cellular data usage as indicated by your cellular or mobile provider. 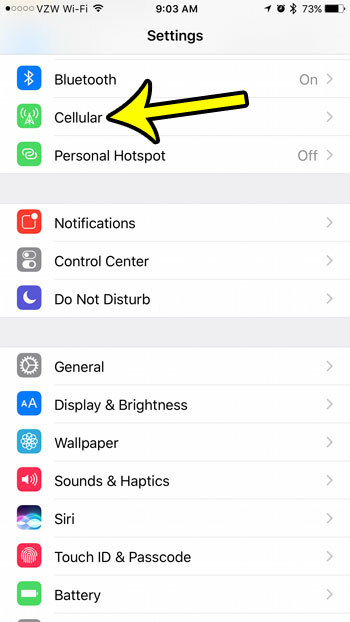 You can disable cellular data usage by individual apps by scrolling up on the Cellular menu and tapping the button to the right of an app that you do not want to allow cellular network access. 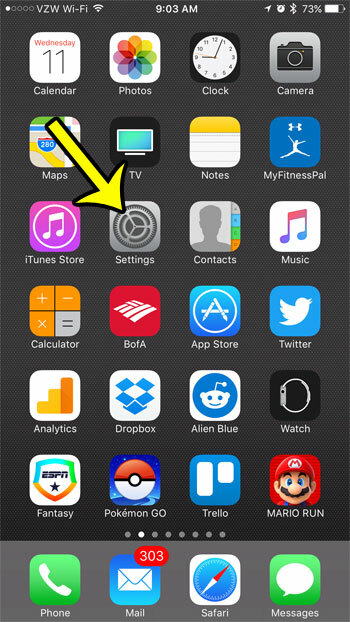 You can also disable cellular data usage entirely on your iPhone. This can be beneficial if you are already over your monthly data cap and want to limit any potential overage charges. Note, however, that most apps will prompt you to re-enable cellular data usage whenever you open them on a cellular network.